The Cinematograph — краткая история кинематогрофа — часть 2 — ENGLISH? EASY! The sun shines in Los Angeles, California for almost 80% of the days in a year. More sunshine means more shooting days (дни съемок) , faster productions, and lower costs. Little wonder, then, that LA became the home of a young industry on a seemingly (кажущийся) endless (бесконечный) upward trajectory. From 1912 onward, the Hollywood neighborhood became home to several movie studios: huge plots of buildings and land with stockpiles (резервы) of men and materials needed to mount (возрастать) massive productions. The original Big 5 studios were Warner Brothers Pictures, Paramount, RKO (Radio-Keith-Orpheum), MGM (Metro-Goldwyn-Mayer), and 20th Century Fox. Each of the Big 5 owned expansive lots for productions as well as many theaters to exhibit films to the paying public. The second tier (ряд) of studios included Universal Pictures, United Artists, and Columbia Pictures. Lesser studios included Monogram, Republic, and the animation studio Walt Disney Pictures. One of the first major Hollywood films was the Civil War epic Birth of a Nation, produced by DW Griffiths. With a runtime over three hours, the film was a monster. It was also controversial (спорный) for its overtly racist messages. At this time, motion pictures still lacked (не хватает) sound. Films often included title cards with written dialogue to explain important plot elements. Otherwise, stories were conveyed (передавать) visually. To set the mood for each scene, silent films were accompanied (сопровождать) by live music ranging from alone pianist to a full orchestra. 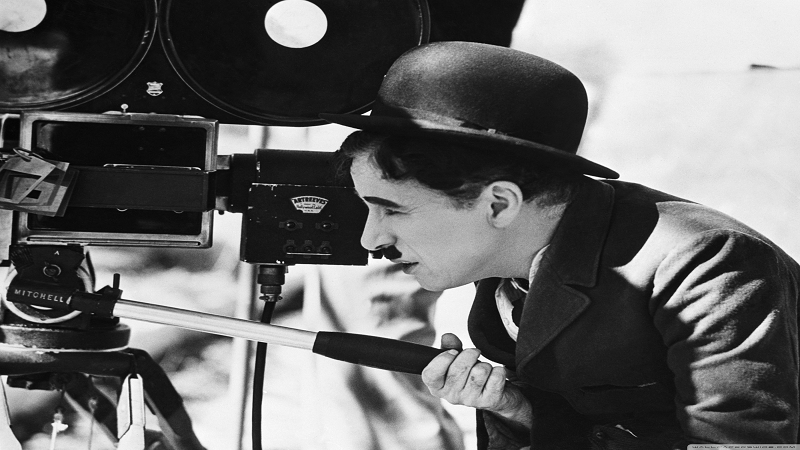 By the 1920s, Hollywood was the fifth largest industry in the United States. It was around this time that the area became known as Tinseltown because of the glitz (блеск, мишура) and glamor closely associated with the Roaring Twenties period. Movies made studio heads and producers extremely rich. The director developed into the most prominent (выделяющийся) “behind the scenes” production role, while the idea of “movie stars” brought many actors and actresses great fame and fortune. Following the First World War, European filmmakers like Fritz Lang, Alfred Hitchcock, and Jean Renoir arrived in Hollywood to collaborate (сотрудничать) with homegrown talent. 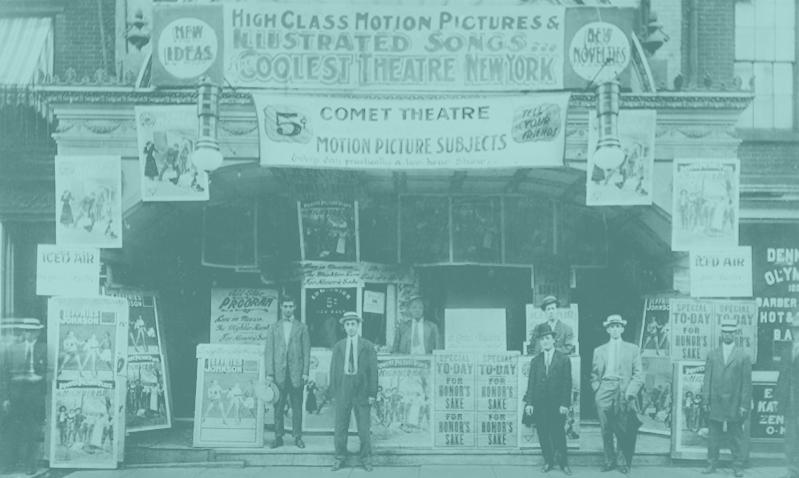 By the mid-20s, engineers from Warner Brothers-owned Vitaphone had developed a way to sync audio recordings with motion pictures. Movies now included what is considered diagetic (аутентичный) and non-diagetic sound. Diаgetic sound includes the sounds of the story’s physical world—specifically, dialogue and all sounds the characters can theoretically hear. Non-diegetic sound refers to sounds the characters would be unaware (неосведомленный) of, such as the film’s soundtrack. The arrival of “talkies” put many silent era actors out of business, either because they lacked strong voices or they could not remember their lines. With sound to boost the story, directors could explore more complex angles (углы) and editing (монтажные) techniques. Cinematography, the composing of motion pictures, gained recognition (добиться признания) as a major form of art. 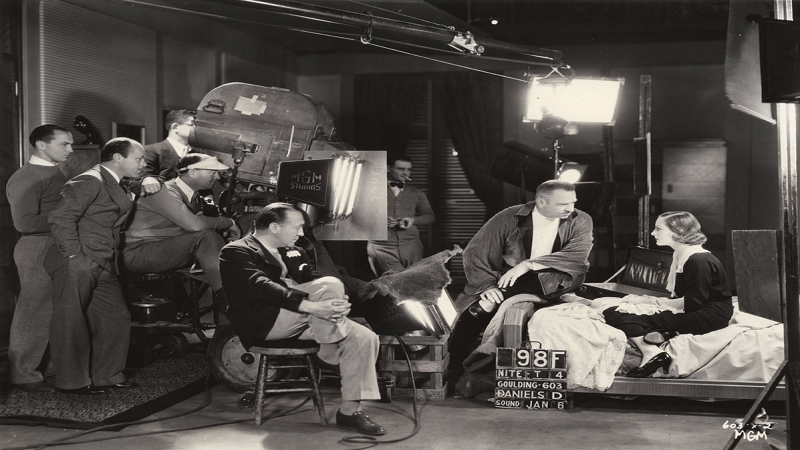 Film crews organized and their hierarchy developed into the format we know today. With the combined might of sound and picture to tell stories, cinema was entering a phase of unprecedented (беспрецендетный) growth as 1930 loomed closer. The film industry had survived infancy (ранняя стадия развития, младенчество) and was now moving into adolescence (подростковый возраст). Hollywood’s Golden Age was about to begin.